We use exclusively natural thyroid in our office, and a few times every day, I find myself explaining why natural thyroid is superior to Synthroid. In this article, we will explain why natural thyroid tablets are better than synthetic T4 only tablets, also called Synthroid. 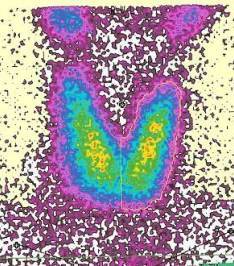 Left Image: Thyroid Gland on Radionuclide Scan Courtesy of Wikimedia Commons. What is Synthroid? What is in it? Synthroid contains Thyroxine also called T4,which is identical hormone produced by the thyroid gland. Levothyroxine is the generic form of Synthroid. Common brand names include Thyrax, Euthyrox, Levaxin, L-thyroxine, Eltroxin and Thyrax Duotab in Europe; Thyrox in South Asia; Eutirox, Levoxyl and Synthroid in North America. Strictly speaking, Synthroid is bio-identical, even though it is synthetic. What is in Natural Thyroid? Natural Thyroid pills are made from desiccated porcine (pig) thyroid glands which contain Thyroxine (T4), T3, T2, T1 and Calcitonin. 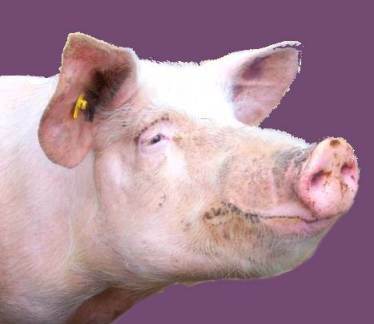 Left Image: courtesy of wikimedia: Natural Thyroid tablets come from this animal, the pig. As of 2005, 10 million people in the U.S. take thyroxine. When one considered that Abbott’s Synthroid is the most popular form of thyroxine, and the second-most prescribed drug in the U.S., one starts to understand the financial rivalry between Synthroid and natural thyroid competitors. Left image: chemical structure of thyroxine, T4 courtesy of wikimedia commons. What Does Mainstream Medicine Say ? Here is a typical statement by Mainstream Medicine found on a popular medical information web site called medicine.net. Armour is a natural desiccated porcine thyroid preparation containing T1, T2, T3, T4 and calcitonin. Synthroid contains only T4. What is your feeling regarding natural vs. synthetic replacement therapy in hypothyroid situations? Armour, for example vs. Synthroid? from L.H. Doctor’s Answer: While it is reasonable to assume that synthetic medications are less desirable than natural counterparts, in this case- natural thyroid hormone replacement is definitely not an ideal solution for the vast majority of people. Here’s why: Armour thyroid is derived from desiccated pig (porcine) thyroid gland. A number of years ago, these natural preparations were our only alternative. Replacement with desiccated thyroid creates dosing problems because there is no way to standardize the exact amount of the dose for each batch. As a matter of fact, these preparations do not report their dosage strength in milligrams, but rather, in grains of thyroid. This is because, they don’t really know the milligram equivalent in each dose. Dosing is also based on the assumptions that each gland has equal amounts of hormones as the next gland, and that the ratio of T4 and T3 (the more active hormone) are similar and constant in each gland from the pigs. 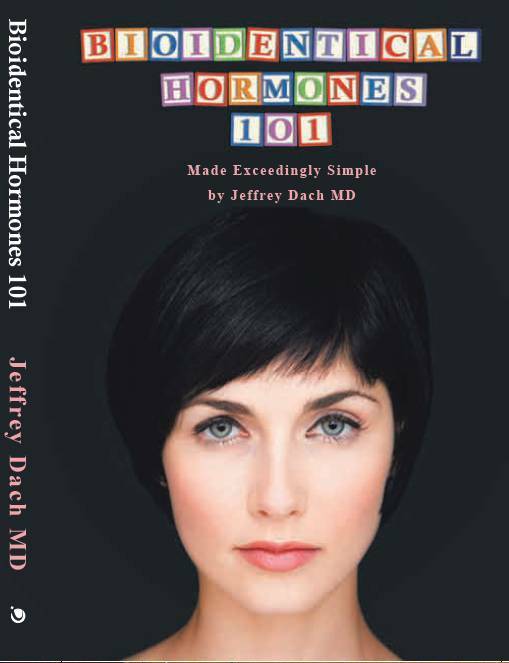 There is no way to be certain of this, and patients on these preparations often have fluctuating hormone levels, which may or may not result in symptoms. Regardless of symptoms, the goal of replacement therapy is to keep the hormone levels as stable as possible. This is much easier to achieve with synthetic preparations such as Levoxyl and Synthroid. These preparations come in a vast number of standardized doses, allowing for minute adjustments in hormone dosing. There is another comment that should be made. With all the issues surrounding “mad cow disease” and other ailments, I personally am reluctant to offer animal based therapy to patients when a safe effective well studied synthetic preparation is widely available. I hope this helps answer any questions you may have. Thank you for your question. “Natural Thyroid is Not an Ideal Solution” ? !!!! This nonsense really makes my blood boil and my eyes pop out of head. Let’s start by doing a little research. If the above statement is true, we should expect to find that the FDA HAS NEVER recalled Synthroid because of problems with stability or potency, and we would expect that the FDA HAS recalled natural thyroid pills because they are unstable, and vary in potency. So let’s ask the FDA about this. What do we find? In reality, the FDA says Synthroid is unstable and varies in potency, while natural thyroid from RLC labs HAS NEVER been recalled for instability or variation in potency. Is Synthroid a Reliable and Stable Drug? “The drug substance levothyroxine sodium (also called Synthroid) is unstable in the presence of light, temperature, air, and humidity. Unless the manufacturing process can be carefully and consistently controlled, orally administered levothyroxine sodium products may not be fully potent through the labeled expiration date, or be of consistent potency from lot to lot. There is evidence from recalls, adverse drug experience reports, and inspection reports that even when a physician consistently prescribes the same brand of orally administered levothyroxine sodium, patients may receive products of variable potency at a given dose. Such variations in product potency present actual safety and effectiveness concerns. To be completely fair, there was a recall of Armour thyroid in 2005, Lots manufactured in 2003 were found to have lost potency 2 years later in 2005, so Forest Labs recalled all tablets made in 2003. Since it was 2 years later, very little product from these lots was still in distribution, so it was actually a small recall. Armour changed their thyroid tablet formulation in 2009, and we have seen reports from patients who are not happy with the new formulation. To avoid any questions, we use exclusively Naturethroid from RLC labs. After five years of clinical experience with Naturethroid from RLC labs, I can fully endorse the product as an excellent form of thyroid medication. “In contrast to Naturally Desiccated Thyroid (NDT) containing T3 and T4, most synthetic medications contain T4 (or T3) only. In reality, many patients don’t start to feel normal again until they switch from synthetic to NDT (Thyroid USP). Natural Desiccated Thyroid hormone replacement has been used since the late 1800s, and it is one of the safest drugs available. It contains a full spectrum of thyroid hormones, T4 and T3 and also T2 and T1 as well. The typical indication by the proponents of synthetic T4 is that NDT is unstable and inconsistent in its dosage. However, under the full USP monograph of both Thyroid USP as an ingredient and Thyroid USP Tablet as a finished product establishing full prescription status, this conventional argument could not be further from the truth. Unlike Nature-Throid™ and Westhroid™, synthetic medications have often been recalled due to batch inconsistencies. Yet most doctors are led to believe that desiccated thyroid is unstable. By the way, contrary to the Medicine.net comment above, natural thyroid tablets are labeled in milligrams. One Grain tablets contain 65 mg .
Left Image courtesy of wikimedia: Conversion of T4 to T3 with IDI Deiodinase enzyme. A common problem for many patients who don’t feel well on Synthroid is the inability to convert T4 to T3 . Synthroid contains T4 which is inactive, and must be converted to T3 by the body for it to work. This conversion is done by the De-Iodinase Enzyme (see image above). Sometimes this enzyme is deficient or not working, and many patients have an inability to convert T4 to T3. They feel much better on a natural thyroid medication which contains T3 and T4. In my experience, most patients feel much better, with more energy, and relief symptoms when switching from synthroid to a natural thyroid such as Naturethroid. An article by Mary Shoman in the Townsend letter explains why natural thyroid treatment is better, that Synthroid and Levothyroxine are unstable, with dosage varying according to batch, and subjected to multiple recalls. Natural thyroid from RLC labs has never been recalled and is the preferred solution. 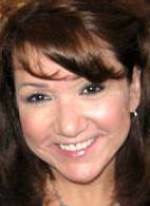 Mary Shomon’s blog is an excellent resource on natural thyroid. Can I Get Mad Cow Disease from My Pig Thyroid Pill? Millions of Americans have enjoyed ham sandwiches and pork products for decades without a single case of Mad Cow Disease ever reported. This essentially invalidates the fear of Mad Cow Disease as an argument. However, Mary Shomon advises caution with over-the-counter glandular supplements, which may contain unregulated meat products from areas of Europe known to have mad cow infected livestock. Another excellent resource is the Stop Your Thyroid Madness Blog and Book by Janie Bowthorpe. Janie suffered for years with low thyroid symptoms wven while on Synthroid, and had a dramatic recovery after covverting from synthroid to natural thyroid. With her blog and book, she is one of the strongest advocates for natural thyroid medication. For diagnosis of low thyroid, we use a lengthy questionnaire which reviews over 70 symptoms of low thyroid, a complete thyroid blood panel including TSH, free T3 and free T4, Thyroid antibodies and a physical examination which includes measurement of reflex time. Also included is a basal body temperature chart filled out by the patient at home. We also measure selenium and iodine levels and supplement when found low. Once it has been determined that thyroid hormone is likely to be beneficial, a trial of low dose Nature-Throid from RLC labs is started with a Half Grain (32 mg) tablet every other morning. A log book is kept by the patient describing benefits of increased energy, clarity of mind, etc, or adverse effects such as palpitations, feeling of warmth, anxiety or insomnia. At the end of a week, the log book is reviewed to determine if the thyroid was of benefit. We have found that monitoring symptoms with a log book, and the Half Grain gradual increments in thyroid dosage every two to three weeks makes this program very safe. In the event of rapid heart rate or palpitations, the patient is instructed to hold the daily dosage of thyroid medication and inform the physician. This program is also excellent for switching patients from Synthroid to Natural Thyroid with patients invariably reporting dramatic improvement afterwards. Instead of Natural Thyroid, Why Not Use Cytomel and Synthroid Together? Cytomel is T3 and Synthroid is T4, so why not use the two together? 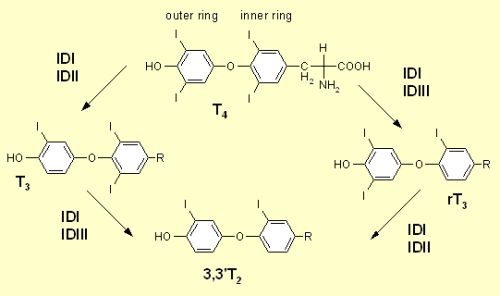 The Cytomel provides the missing T3 to make a combination that is closer to the Natural Thyroid. Some patients arrive at my office having been given this combination from the doctor. The advantage for the prescribing doctor is that both items, Synthroid and Cytomel are available at the corner drugstore, wheras natural thyroid is available from a compounding pharmacy. Natural Thyroid is still the preferred choice. Among other missing ingredients, the Synthroid and Cytomel lacks Calcitonin which is present in natural thyroid, and usually lacking in patients after thyroidectomy which removes the parathyroid glands. Giving back the missing calcitonin makes sense, and patients usually feel better. Update 10/14: New study patient are more satisfied when converted from Synthroid to Armour: Click here to read the pdf of the study Conversion to Armour Thyroid_endocrinology-2-1055. The Synthroid Settlement: Fair Payoff or Patient Ripoff? Today, more than 10 million people in the U.S. take thyroxine. Synthroid, manufactured by Abbott Laboratories and the most popular brand of thyroxine, is the second-most prescribed drug in the U.S.
4.Telling thyroid patients that desiccated natural thyroid like Armour is “unreliable”, “inconsistent”, “dangerous” or “outdated”. 6.Failing to see the OBVIOUS symptoms of poorly treated thyroid, and instead, recommending a slew of other tests and diagnoses. Common brand names include Thyrax, Euthyrox, Levaxin, L-thyroxine, Eltroxin and Thyrax Duotab in Europe; Thyrox in South Asia; Eutirox, Levoxyl and Synthroid in North America. There are also numerous generic versions. Synthroid is the most prescribed brand of T4 in the United States. Synthroid was marketed in 1955, but was not FDA approved at that time as it was “generally regarded safe”. In the 1990s, in response to debate as to whether Synthroid was more effective than other levothyroxine preparations, (which ended up concluding that there was little difference between Synthroid and generic brands) all levothyroxine preparations were required to undergo the formal FDA approval process. Synthroid was approved by the FDA on 24 July 2002. Source: Federal Register 62, No. 157, 14 August 1997, pp. 43535-8. As with all drugs, Armour’s manufacturer, Forest Laboratories, holds back samples from every lot it produces, and periodically tests those samples. When Armour Thyroid is manufactured, it has a 24-month expiration date. That means that Armour Thyroid should maintain its potency for a full two years. What Forest found in recent sample testing was that there were several lots of Armour Thyroid that were not maintaining full potency. These lots were manufactured between March 2003 and August of 2003, and therefore they were set to expire between March 2005 and August of 2005. Is There A Real Risk of Mad Cow Disease from Armour Thyroid? If you are willing to eat American pork products, you shouldn’t be any more concerned about Armour thyroid, as far as risk of mad cow disease. Caution is encouraged, however, with over-the-counter glandular supplements, which may contain unregulated meat products from areas of Europe known to have mad cow infected livestock.